Jrads Sep 16 2018 11:00 pm Ive watched him in several films.. Hes such a great actor! ❤️ Looking forward to his upcoming movies! Hey you Feb 28 2017 10:19 am I dont know why but somehow you remind me of shun oguri !! He is my faviourite actor i got impressed by his acting but now you and kenichi matsuyama are also in my list and i think your voice and expressions are akin to shun oguri .. I discovered and saw you the first time In the movie (Monsterz) ! Omg You are so great and Creator $___$ And watched (Death note) movies You are amazing and talented actor I really loved you so much in Role Yagami light &_& It suits you so much !! 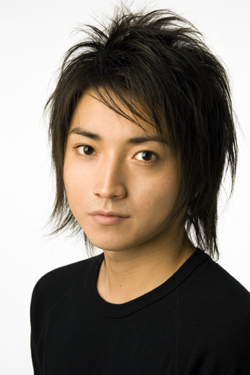 also you was great in parade movie and i loved your Character in (Moonlight Jellyfish 2004) MOVIE you was cool and nice ! I love expressions eyes And your voice Lovely!! I love your roles dark Especially!! I watched you in interviews and ojamap tv show You have a wonderful personality and a respectful person and very cute !! honto Aug 18 2016 12:30 am is it true you're gonna be in the live action film for bleach??? Les Lee Jul 08 2016 1:29 pm Tatsuya-kun.. Hi, a new fan here from the Philippines. I just saw you in Death Note, and seriously, i just LOVE how you acted there. That was, what, ten years ago? Pretty sure you look even more handsome today! :3 Looking forward to see you how you acted in Rorouni Kenshin as well as Shishio with your fighting skills. Oh, man, your eyes.. i love how your eyes express deep emotion. seriously. You are the reason why I love Japanese movies now. i would die to see you in person! Hahaha XD I hope you can read my message. light May 01 2016 7:57 am I really liked his acting in Death Note kinda love the role too much. Lucy Apr 13 2016 7:59 pm I only watched his performance in 7 dramas, so I can't really generalize things, but he didn't impress me. In fact, just now I realize I've been dodging dramas staring him, afraid that he's going to ruin the characters. It's hard to say what's he's lacking. Some actors are gifted with charisma, some are just born with an expressive face and learn how to use it. He's kinda like Masataka Kubota, but Kubota learns to master different types of emotions with his seemingly ordinary appearance. When Fujiwara tries, it always feels like he tries too hard, so his acting seems forced. Chinguya Jan 25 2016 3:01 am Tatsuya-Kun, i have my eyes on you since i watched Tengoku no Kiss in 2005. I love your voice and you are great. Keep fighting for your drama and movies. nblars Jan 25 2015 10:03 am Well I'm not the only one that wish for a drama where Fujitatsu and Ohno become siblings right? Riiiight??? nim Oct 10 2014 6:03 pm he remind me of ohno satoshi. he got this superb acting anyway. impressed with his work at ST drama. Kazuma22 Dec 27 2013 2:02 am Renesme. I didn't know you were on this sight. I want you to read the deathnote mangas, then watch the anime and the action film and be amazed at these actors. Call Jeffery and have him tell everyone else. Renesme Dec 27 2013 1:55 am This man is beautiful! His face is like an angles but shows the male side in his voice. Veera Dec 10 2013 6:41 am I love this actor so much. I don't understand why people say he can't act or his acting isn't so great. I loved the way he acted Light for exapmle. I think the slightly arrogant way he was playing him was awesome! Dakšiņa Nov 21 2013 1:45 pm waaait he will be in Ruroni Kenshin movie..? the one with the long haired gut? well i gotta say.. I'm waiting for those. he's a great actor, and the movies are great too. alex Oct 23 2013 12:43 am i wish light was played by a different guy. Death note didnot work for me because of him. Carlos Jun 24 2013 4:08 pm I don't like this guy, he overacts in every single role and makes every movie a soap opera because of that. Riida! Apr 27 2013 9:12 am He looks like Ohno Satoshi. Mpho Motsepe Mar 25 2013 7:06 am I loved the movie Death Note Tastsuya Fujiwara you are a talented and Inspiring person to look up to in terms of acting, I hope that one day I can visit Japan to see u along with other brilliant actors in Japan. maneki hobbang Oct 26 2011 3:00 pm i think he's dedicating his whole life to play creepy or creeped out characters. that's awesome. go for it! Malee Aug 23 2011 8:10 am What name is Tatsuya-senpais account? sadea Oct 07 2010 8:09 am when is his new movie coming out. nasadea Oct 06 2010 8:28 am why is it that people think he looks like a girl. Ai-yamapii May 15 2010 11:43 am Happy 28 th Birthday Tatsuya Fujiwara... Good movie Death Note and Death Note: The Last Name are very good jobs :D.
Docalion Dec 31 2009 5:12 am Woohoooo!! Love love Fujiwara-san!! I hope he gets more drama and movies next year. More success for him in the future!!! Good luck! Rumi Dec 17 2008 5:16 pm I'm not sure if it's him or not but is this his facebook account or is it a poser?